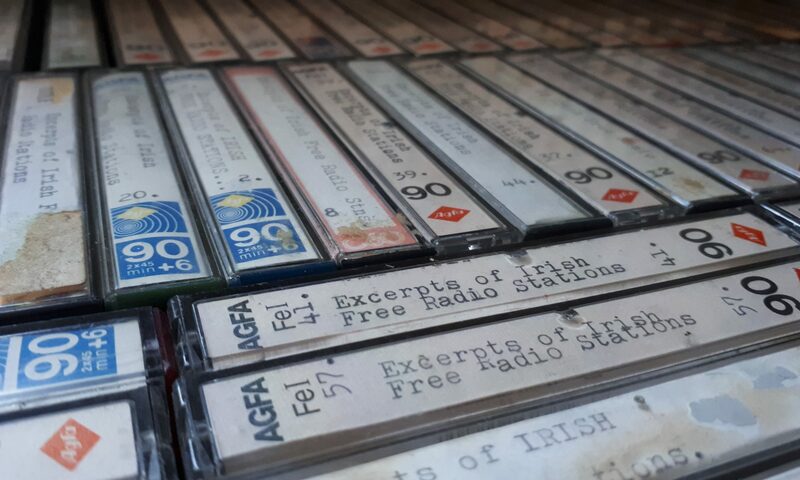 In January 2019 Wireless on Flirt FM did an hour-long special feature on the archive, including highlights of the historical recordings and extracts from some of the interviews with those involved. CBC Radio started broadcasting in the West Gate, Clonmel in November 1981 and continued until the enforced close down of all pirate stations on New Year’s Eve 1988. Over 100 volunteers, along with a handful of part-time and full-time staff, contributed on the air, and the station was hugely popular among young and old in Clonmel, Carrick-on-Suir and surrounding towns. Over the past three years, former staff member Jonathan Ryan has been researching the station’s history and listening to many audio tapes recorded during that time, along with interviewing former staff members to bring to life this audio history of life in the West Gate. With thanks to Jonathan Ryan for an advanced copy of the audio and for a amazing work of journalism in making this radio documentary. First broadcast on South Tipperary General Hospital Radio, December 27th 2018.